Italian news agency ANSA published on Thursday a report where it revealed that an the Milan-based Italian first-instance court for patent cases has denied Samsung's request for a preliminary injunction against the iPhone 4S, making it the third time the South Korean electronics maker has failed to obtain a ban on Apple's newest handset in Europe. The Italian court's rejection marks the third straight loss for Samsung in its effort to curb Apple handset sales in Europe, and follows similar decisions by France's Tribunal de Grande Instance de Paris in December 2011 and Dutch court Rechtbank's-Gravenhage's ruling in October. Both companies are embroiled in a worldwide patent war, though thus far only Apple has seen success in its injunction requests and won bans against Samsung's Galaxy Tab 10.1 in Germany, Australia and the Netherlands. However, Apple is only slightly ahead of Samsung. The Cupertino Company will have to pay Samsung a significant amount in damages if courts in those states find that the preliminary injunctions were improperly granted. As you may remember, the patent war erupted when Apple filed a suit against Samsung in April 2011, alleging that the South Korean company blatantly copied the look and feel of the iPhone and iPad. The war now spans over 10 countries across four continents. 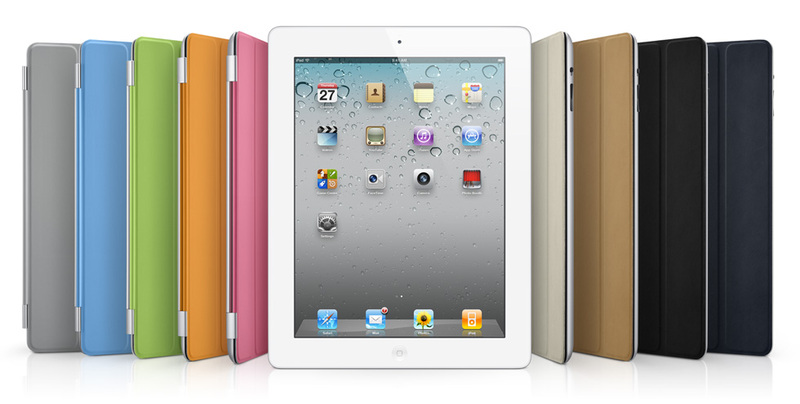 iLounge offers a new portion of information from a source about Apple's plans for the iPad 3. The source claims that the next-generation iPad will carry significantly improved cameras on the front and back, moving to a FaceTime HD camera on the front and a higher-resolution iPhone-like camera on the rear. The same source also confirms iLounge's earlier claim that the next-generation iPad will be slightly thicker than the iPad 2.
) A few next-gen iPad notes, ahead of the show. Both cameras are getting upgrades. Front goes HD, rear becomes iPhone 4/4S-like (bigger). 2) Body of the next iPad is, as we previously reported, getting just a little thicker to accommodate new parts - little = 1mm give or take. iLounge's source also suggests that Apple will continue to offer the iPad 2 alongside the iPad 3, but the company is expected to drop the price of the current model to compete with lower-priced rivals such as Amazon's Kindle Fire. The iPad 3 is said to be released in March. 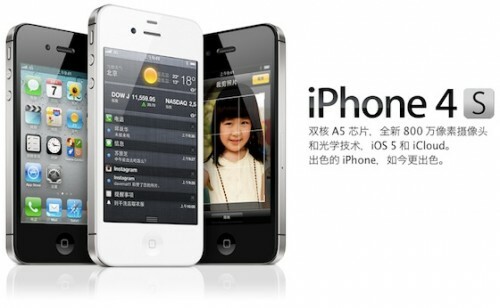 Apple finally announced the forthcoming debut of the iPhone 4S in China in a press release on Wednesday. The iPhone 4S is set to launch in China and 21 additional countries across the world on Friday, Jan. 13. "Customer response to our products in China has been off the charts," Apple Chief Executive Tim Cook said in a statement. "With the launch in China next week, iPhone 4S will be available in over 90 countries making this our fastest iPhone roll-out ever." 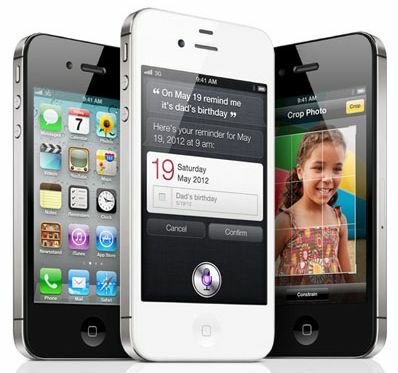 In addition to China, Jan. 13 will also mark the launch of the iPhone 4S in Anguilla, Antigua and Barbuda, Bolivia, Botswana, British Virgin Islands, Cameroon, Cayman Islands, Central African Republic, Dominica, Dominican Republic, Ecuador, Grenada, Guam, Guinea Conakry, Ivory Coast, Jamaica, Kenya, Madagascar, Mali, Mauritius, Niger, Senegal, St. Vincent and The Grenadines, Trinidad and Tobago, Turks and Caicos and Uganda. Rumors have suggested that Siri, Apple's voice-controlled personal assistant service on the iPhone 4S, will gain support for Mandarin, the most popular form of the Chinese language, by March of 2012. Noteworthy, some regional branches of China Unicom in mainland China had already gained profit from iPhone 4S launch having offered bookings for the handset in anticipation of the device's launch. All Things D reported on Monday that Apple is reportedly planning an event scheduled to take place in New York at the end of January. The company is said to use the event as a platform for an advertising or publishing announcement. Of course, many anxiously await the announcement of a much anticipated iPad 3 or new Apple TV, which some think will be launched later in 2012. Apple usually reserves product launches and important announcements for its home-state like the latest iPhone 4S, which debuted on Oct. 4, 2011 at Apple's campus. Several of Apple's media and advertising units have significant presences in New York City, and Apple Senior Vice President of Internet Software and Services Eddy Cue (Cue is currently heading up the iTunes Store, App Store, iBookstore) is said to take part in the end of the event that has caused rumors suggesting that Apple’s announcement may be connected with advertising or publishing. AllThingsD has decided to have a look at how the launch of Apple's Newsstand iOS 5 feature has affected subscription sales. Popular Science magazine was an object for the study that has revealed that the prominent placement of the Newsstand app and easy access to updated content has driven a substantial increase in new subscriptions. In fact, Apple’s Newsstand is a new way for users to keep track of their subscriptions, house them in a dedicated folder. 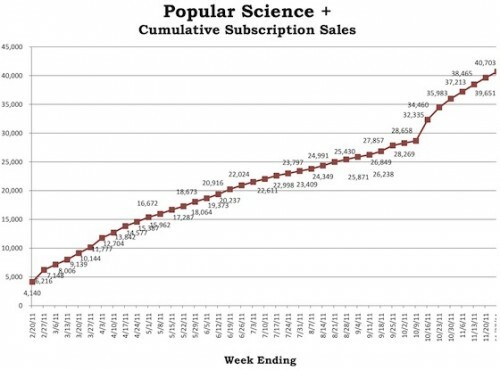 If you look at the graph above, you will find out that Popular Science appears to have been adding new subscribers at a constant rate of about 700 per week during the several months. Noteworthy, the magazine was a leader among digital media even before the debut of iOS 5. But a month after iOS 5 launch, we see a significant bump in Popular Science subscription sales at nearly double the rate seen before the arrival of Newsstand. This week the Recording Academy announced the winners of its annual Special Merit Grammy Awards. One of the awards will go to Steve Jobs who was named one of several recipients, including Brazilian composer and arranger Antonio Carlos Jobim, of a Trustees Award for 2012. The Trustees Award category is designed to recognize those who have made significant contributions to music in areas other than performance. As former CEO and co-founder of Apple, Steve Jobs helped create products and technology that transformed the way we consume music, TV, movies, and books. 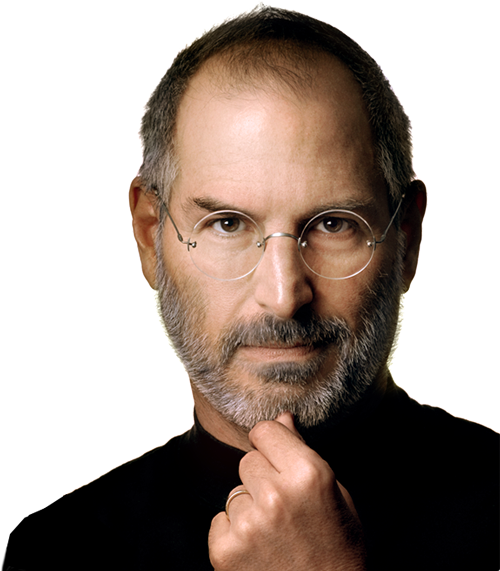 A creative visionary, Jobs' innovations such as the iPod and its counterpart, the online iTunes store, revolutionized the industry and how music was distributed and purchased. In 2002 Apple Computer Inc. was a recipient of a Technical GRAMMY Award for contributions of outstanding technical significance to the recording field. The company continues to lead the way with new technology and in-demand products such as the iPhone and iPad. The ceremony honoring the winners of Trustees Awards will be held on Saturday, February 11th. 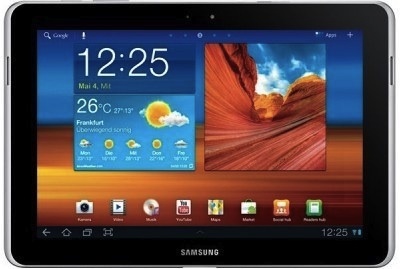 Last month we reported that Samsung released a revised Galaxy Tab 10.1N design in Germany in order to avoid an injunction over the sale of the device due to design issues. Apple quickly filed suit in an attempt to bar the new design, claiming that changes in the design were not significant. Though, the judge seems not to support Apple’s point of view and may not going to issue a ban on Galaxy Tab 10.1N sales in Germany, giving customers opportunity to choose between Apple’s and Samsung’s tablets. However, the final decision on Apple's request is scheduled to be released on February 9. Gene Munster with Piper Jaffray said in a note to investors on Wednesday that as Apple did not redesigned several major products in 2011, the analyst suggest that significant changes could be made in 2012. 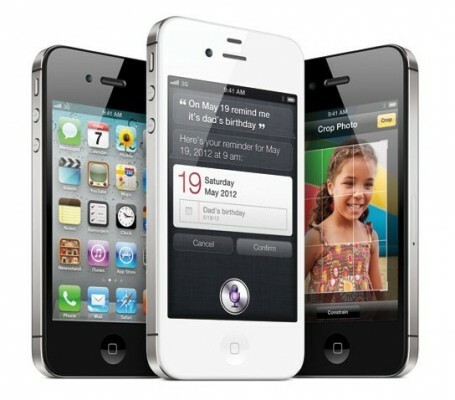 Among such changes are said to be redesigned rumored iPhone 5 that is predicted to debut in the middle of 2012, as well as an expansion of the iPad lineup into both lower and higher price points. The launch of a so-called "iPhone 5" in 2012 would set the stage for outperformance in 2013, in Munster's eyes. He offered two scenarios for Apple's products in 2013. According to the first scenario, Apple will sell 142 million iPhone units, good for an 18 percent increase in revenue. According to the more successful scenario, Apple will sell 162 million iPhone units throughout 2013, amounting to a 35 percent increase in revenue. As for a total revenue growth for Apple in calendar 2013, Munster suggests that the growth will reach 14 percent, but he noted that such estimates are rather conservative. More prospective scenario shows that Apple’s revenue will increase by 28 percent in calendar 2013. Today market research company Strategy Analytics reported on its research which covers «connected TV players», such as Ruku and Apple TV. The report shows that Apple is expected to reach sales of 4 million Apple TV boxes for 2011, leading the growing market with a 32 percent share. Apple suppliers now claim that the next generation of iPads will arrive on the market in the next 3-4 months. Manufacturing partners of the company have reportedly begun delivering parts and components for the third-generation iPad while reducing the iPad 2 production, through it is expected to remain steady at 14-15 million units in the December quarter, before declining to 4-5 million units in the first quarter of 2012. The same sources said that production of the iPad 3 will reach 9.5-9.8 million units next quarter. China's Commercial Times has reported that Apple will begin producing the device in January ahead of large-scale production in February. Moreover, analysts suggest that there left no significant technical hurdles for the device. The iPad 3 is expected to include a high resolution Retina Display. Last month we reported that Apple invested in a Sharp factory for production of LCD panels for the next iPad that will be utilize IGZO (indium, gallium, zinc) technology to provide a thinner design and improve battery life. However, the recent report from Japanese source claims that iPad 3 will be little thicker that the current-generation Apple’s tablet because of unknown reasons. According to a research note issued by Citi analyst Richard Gardner, the next-generation iPad will be introduced in February. According to "several sources" the next iPad will launch in February, and it will sport a screen with double the resolution of the current model. Gardner says, "there do not appear to be any significant technical hurdles remaining" to prevent a launch of a high-resolution iPad, despite rumors to the contrary. Some of the prior reports of a mid-winter launch for the iPad 3 suggested that Apple's display suppliers were struggling with mass production of the higher-resolution 2048x1536 displays. It still unclear is whether the next-generation Apple’s tablet will be thinner or slightly thicker than the iPad 2. Some sources claim that it will be slightly thicker due to use a dual light bar system that is necessary for the Retina Display. But others suggest that Apple will use a new technology that will allow the iPad 3 to be slightly thinner than the current model. Apple retail stores are taking part in World AIDS Day today, on December 1. The company is drawing attention to its (RED) products, which raise money to fight AIDS in Africa. ifoAppleStore reports that a "select group of Specialists will be wearing and promoting the (RED) iPod nano" to mark the day set for international AIDS awareness. Apple sells 8GB and 16GB (RED) iPod nano models for the same price as other models, but a part of money that Apple will receive this day, will be donated to the Global Fund in order to fight AIDS in Africa. 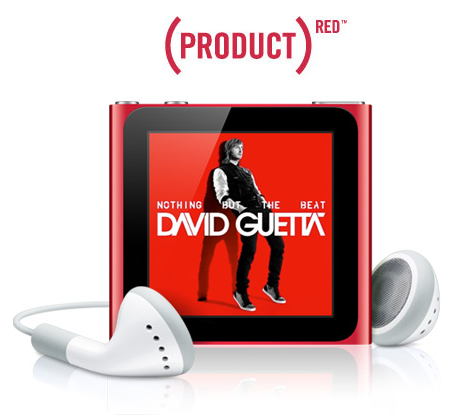 The company also offers a (RED) leather iPad Smart Cover, Special Edition (RED) Beats by Dr. Dre Solo HD Headphones, as well as a (RED) iTunes gift card. Managers also have to use the (RED) Smart Covers for iPads during this day. The idea of this (RED) project belongs to U2 lead singer Bono and Bobby Shriver. Apple has been the largest contributor to the Global Fund to Fight AIDS.